Seeking this connection, Moffitt discovered Theater of Possibility (TOP), a theater arts program based in Seattle and Bellevue serving kids who are “quirky, spirited, or shy or who may have Asperger’s, autism, ADHD, or other learning or ability differences,” as the demographic is described on the TOP website. Through theater games, improvisation, and role-playing led by TOP Director Lauren Goldman Marshall, Moffitt learned to embrace many of his personal attributes like extreme extroversion and abstract thinking that he’d previously felt pressure to repress. Now 21, Moffitt works as a teacher’s assistant at TOP, supporting the next generation of autistic children as they learn and grow while they also reach a level of self-acceptance. 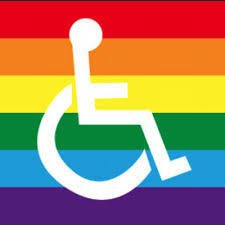 “You shouldn’t assume that because someone is disabled, they need to be fixed. When we talk about acceptance, we mean acceptance for everybody. Whether they can go to college or not, whether they can work a 9-5 or not. Whether they can communicate orally or not. Whether they ever choose to date or not. Acceptance doesn’t come with qualifications or ifs or buts. Acceptance means radically choosing to believe and to affirm through your actions, that all humans are in fact valuable. That all ways of being human are worthy of respect. Even if you don’t understand them. Especially if you don’t understand them.” A beautiful quote by Lydia Brown, an exceptional disability rights activist. So proud to share this article on Queer Autistics I wrote for AfterEllen. “Amy Sequenzia is a non-speaking Autistic activist who loves words and writes free verse poetry. 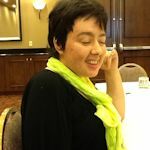 Amy also blogs regularly for Ollibean and Autism Women’s Network, and guest blogs for several websites. Amy serves on the Board of the Autistic Self-Advocacy Network, Florida Alliance for Assistive Services and Technology (FAAST) and the Autism National Committee (AutCom) and has presented in several conferences, in the US and Canada. Amy uses AAC, FC and RPM to communicate. The right of individuals to communicate in any form that works for them is an important issue for Amy, as is the right of everyone to be totally included in the larger community. As a multiply disabled, non-speaking activist, Amy wants to reach out to young Autistics and their families, showing them that everyone should be heard because everyone has something to say. When did you receive ABA therapy and what was your experience? I was very young. I did not have the intensive 40 hours/week program. At the same time, it was disrespectful of my autonomy. Not only I was not allowed choices, nobody cared to tell me why I had to do what they wanted, as if their idea of “right” was unchallengeable. I was a kid and I was being forced to do things that my brain could not understand. Because the therapists were unsuccessful, they blamed my “profound retardation” and pushed my self-esteem to the ground. Today, I know I was being myself and even showing self-determination. But at the time, I was said to be too damaged to “learn” (the right words would be obey, comply) and to be making life harder for my parents.That’s why I say I am proud I “failed” ABA. What is your favorite part about being autistic? What are some things you can do or experience that you think non-autistics miss out on? I like everything about being Autistic. It is who I am and I like myself (I had to learn that this is ok, after years of internalized ableism, of people saying I wasn’t good enough). I don’t think people miss out on not being Autistic, in the same way I don’t think Autistics miss out on not being non-autistic. We are who we are and we are who we are supposed to be. I respect the neurotypical and the non-autistic neurology. There is though, one advantage non-autistics enjoy: privilege. Being considered the norm, the desirable, the “right”. But this is due to societal perceptions. This is true for all disabled people. What alternative kind of support is the most helpful to you? I cannot say it is alternative because my answer is: human support. I can do what I set myself up for doing if I have someone who respects me, who understands my needs, and who supports me without judgment. Do you believe ABA practitioners have mean-spirited intentions? No. But they learn from a very ill-intended textbook, the same one that tried to “fix” homosexuality. I am sure some of them are pretty bad and are stuck in the old idea that normalization is synonym of success. They refuse to acknowledge that being trained to obey, and to force our brains to do things in a way they are not wired to do causes long lasting pain, or makes Autistics learn the “correct” answers and “behaviors”, while keeping their Autistic essence buried and unexplored. Self-determination begins with choice and stories of adults who only want to please and look “normal” should not be considered success stories. I hear a lot of BCBA’s saying that “their ABA is not ‘like that’”. If they are using a neurotypical measurement of success, their ABA is training into compliance, and it is bad. Some also like to say “’these’ kids need to learn things”, as if only Autistic kids need to “learn things”. I think most of the therapists are unwilling to reject old methods, maybe some are just afraid of challenging the “big names”, some are just too happy to call anything ABA, which is expensive and with a powerful lobby, making it more likely to be covered by insurance. What do you imagine as the ideal educational situation for a non-speaking autistic child? The ideal situation for any child in school is to have their needs respected. For a non-speaking child, this could mean the educators learning the child’s communication method. Remember: everybody communicates, and behavior is communication. It is not the fault of an Autistic child that the neuromajority cannot understand her language. How has your experience of autism as an adult changed since you were a child? I had to unlearn ableism (I internalized all the assumptions about me, that I was broken, incomplete, not good enough) and I had to put myself out in the world. When I was a child, I didn’t know of any Autistic adults to have as role models. My parents didn’t know either and they made a lot of mistakes. All the conversation was controlled by parents and doctors, usually full of pity and dire predictions. When I was a teenager, a doctor wrote on my chart that I had “no human dignity”. This was considered appropriate for him to do. As an adult, I see more and more of us speaking up. At the same time, I see many organizations, formed by parents and family members, refusing to listen to us and raising money by spreading false assumptions about what it means to be Autistic, to have an Autistic child. Doctors and other professionals also need to upgrade their understanding of autism. That’s why this is our civil rights movement. We are fighting to be heard in policies and decisions about our own lives. We are fighting for our right to participate and to be included. We are fighting to make the rest of the word understand and respect the Disability Rights Movement motto: Nothing About Us, Without Us. Can you explain Echolalia and why this is so common for autistic people? I am not echolalic so I can’t speak of it. Are there some behaviors that you appreciated help changing and some that you wish helpers had just left alone? Not really. I am lucky to have a friend who respects me and supports me, allowing me to find my own path. I have learnt to make my own goals and this includes to let go or to work on what might be considered “behaviors” by others. But I decide this. Do you remember receiving a diagnosis of autism? What was that like? How did that effect your relationship with your family and your experience in school? Can you explain self-injury behavior and how it happens from your perspective? 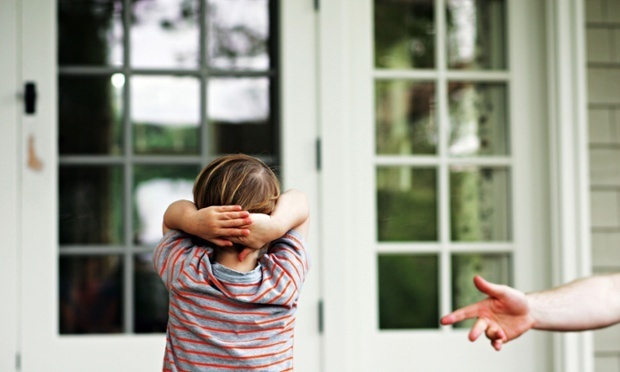 ABA says that this is sometimes an attention seeking behavior and by ignoring it and rewarding the autistic child when they stop, the caregiver can help them discontinue the behavior. What do you think about this? I bite my hands and fingers, sometimes I hit my legs. For me, it is a need for sensory input. Sometimes I do this because I fell discomfort, or pain that I cannot identify. It is not an attention seeking act. Maybe ABA therapists should just admit they really don’t understand Autistics. There are different reasons for self-injurious behavior, each person is different. For some it is a coping mechanism. What misconceptions about autism are you working to change? How can non-autistics help? The misconceptions are too many to list and I have been trying to debunk them all. I think the most common is the assumption that some of us are so “severely autistic” that we suffer. This is absurd because we only know how to be ourselves. If there is suffering at all, it happens through what we are forced to listen about us in the media and everywhere. As a non-speaking Autistic, I am presumed to be unable to understand complex situations, to have an opinion. So, yes, in the sense that it is still hard for me to be heard, this makes me “suffer”. But not really because it makes me more determined to keep speaking out. Another misconception is that we lack empathy. For example: why are ABA therapists still forcing Autistics to do things that hurt us?Why haven’t most big advocacy organization run by parents joined us in remembering disabled people murdered during our March 1st Disability Day of Mourning? Where is the empathy for the lives of disabled people they claim to advocate for?Why almost every non-disabled person and media organization claims to “understand” and “sympathize” with murderers of Autistic and disabled people, while (rightfully) condemning murderers of non-autistic and non-disabled people? Who are the ones lacking empathy? Another misconception is that epilepsy, GI problems, incontinence, are part of autism. Co-occurring diagnosis can stand or be treated on their own. Those are not autism. Autism is how a brain receives, interprets and sends information. I have seizures almost every day. I hope one day there will be a cure for epilepsy, but I will still be Autistic.The same for my GI problems and the many other issues I have. Those are not autism. And my non-autistic friend has some of the same, plus some other issues. Like her, there are many others. They don’t need a change in their neurology to get rid of such issues. Why should Autistics? To know what the misconceptions of autism are, just read what the largest autism “advocacy” organization in the world, Autism Speaks, says on its website. They are wrong in all of their assumptions, and they flat out lie about others (like divorce rate for parents of Autistics, and the vaccine myth, even if they tried to walk back on the latter). The help we want is simple: listen to us, respect us. We are born Autistic, we will die Autistic. Don’t do to us what is not acceptable to be done to non-autistics. The way you treat us today will pave the way for how the younger generation will be treated in the future. Autism: Does ABA therapy open society’s doors to children, or impose conformity?